Home » Blog » Caught up in the Kondo craze? Caught up in the Kondo craze? Is anyone else binge-watching Netflix’s new hit series “Tidying up with Marie Kondo?” They managed to turn decluttering into the latest fad, months before most of us would even be thinking about spring cleaning. Need more space in your life? Here’s a rundown of how her magical method works, for those of you who don’t need another show on the To Watch list. Ignore the urge to multitask. Decluttering takes a good deal of time and effort, so you don’t want to hinder your work by wasting time. Turn off Netflix, put down your phone, and dive in. By giving your full attention to the process, you are confirming the value of your space. It’s common to tackle clutter by room, taking on the living room first, and then the bedroom. Instead, Kondo advises working by category: deal with every single book at once, for example, so they won’t creep from room to room, rendering your decluttering attempts useless. She separates clutter into clothes, books, papers/sentimental items, and komono (miscellaneous). 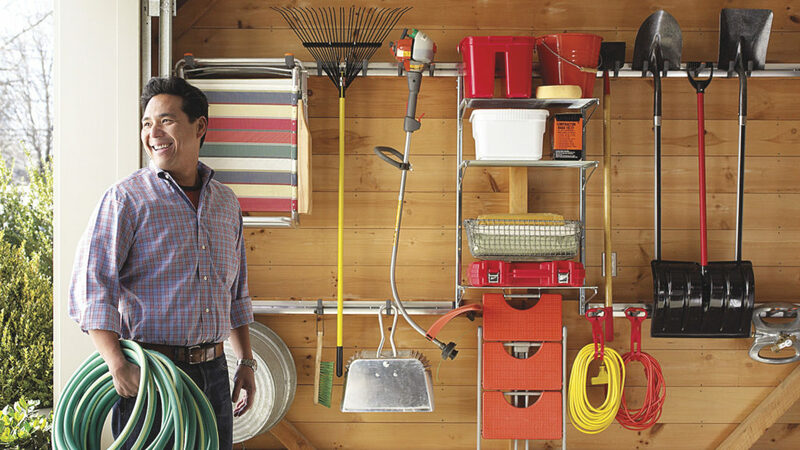 A miscellaneous category could easily be overwhelming (and include large spaces like sheds and garages), so you could break it down even further, and create your own komono categories, like tools and furniture. Gather all of your items in the center of the room. This is a great visual reminder of just how much you have, and why you’re attempting this in the first place. 4) Does it spark joy? This has become the biggest take away from Kondo’s show. You should hold that flowerpot or touch that lamp, and ask yourself whether it sparks joy in your life. Do this for every single vase, holiday decoration, stool, picture frame, table, and tchotke that you’ve accumulated. Now, sometimes an item may not spark joy because it is necessary but less exciting, like a hammer or a box of tile. In this case, it may be better to ask yourself “is this truly useful?” Or, “if I saw this at a store today, would I buy it because I need it?” As you go, sort your items into ‘yes’ and ‘no’ piles. 5) Donate your unwanted items to Community Forklift! So now you’ve worked your way through your entire house and have a large pile of unwanted stuff. You need to discard these items before finding your joy-sparking belongings their new homes, and we’re here to help! Most folks are quick to donate unwanted clothing, but don’t realize that they can donate all sorts of other things. Since we are a nonprofit, you can get a tax deduction, and you can rest easy knowing your stress-inducing mess will soon spark joy in other peoples’ lives! 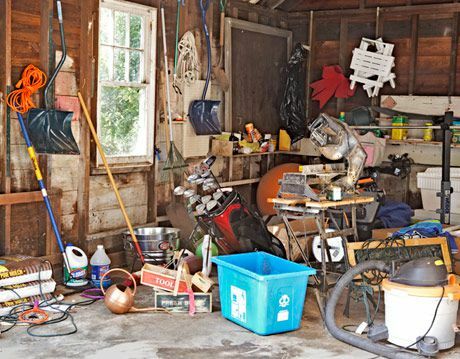 You too can have a garage this organized!